season, and our inaugural tilt with the Open Weight class. 14 volts, 6 ohms, weight sets made for the car, and the slip-on tires closest to your heart’s desire. We were pleased to see the return of John Schoenfeld, after an absence of a decade, in the hunt with his own cars, and ready to learn about the latest parts and technology. John was just about middle of the combined Open Weight pack, a very strong showing. Also making what we hope will become a more regular thang, Bob Withers was totally in the house. And (and) Scoutmaster Tom Bussmann made the trip. Always great to see Tom and his tattoos. After 90 min of dialing-in, we began our Open Weight round robin event, 18 Sportsmen and Pros combined, five minutes per lane. The G-Jet single-lap (5.772 sec.) and 20-minute (189.16 laps) records were what we had for guidance. We knew these cars would be quicker, but by how much? They were lively and way fun. The G-Jet total lap mark was eclipsed by 22, and the single-lap mark by more than eight tenths. Homeboy Catfish Sr.
had the right combination for Penalty Box Red, and took the flag a full 16 laps ahead of Ryan, who had the fast lap of the day, 4.965. Ryan was followed very closely by Erik Eckhardt and J. Reimels. Paul Crosby was the top Sportsman, with Terry Ayer a mere three laps in arrears. John Schoenfeld, Jim Mac, Mike Tiffany, Tom Smith, Oh Jimmy Colligan, Tom Gray, Digital Dave Muse, Tom Bussmann, and Bob Withers, with a broken car for three lanes and then a stout 41 on Blue lane that hinted at what could have been. weepie “The Blackest Crow,” and The Star Spangled Banner. Parker, you slew! 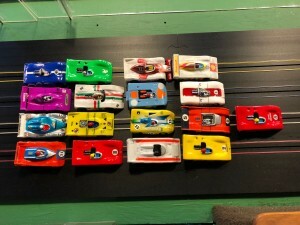 After pizza, and two hours of Super Stock practice, the Nine Sportsmen of the Apocalypse put down their tire pullers and stepped to the panel. 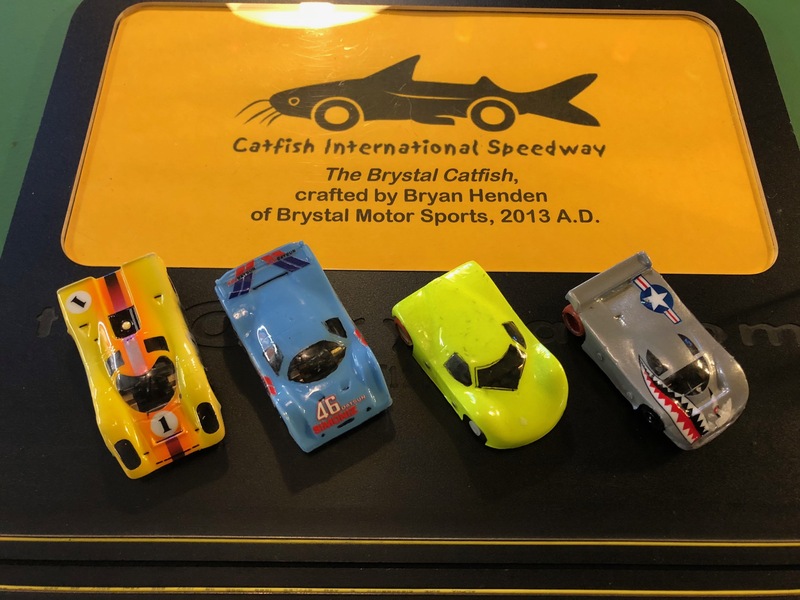 If you haven’t heard, the key to winning at Catfish International, it’s simple: win the Red lane. That’s just what “Power” Paul Crosby did. He also won all the other lanes for good measure. Terry Ayer gave a very fine drive, including a very strong Red himself, to be the best of the rest, 11 laps back. Bob Withers looked crazy good at times, and was third. Mike Tiffany and The Scoutmaster were close behind, followed by Hal, J. Schoenfeld, Oh Jimmy, and Dave Muse. 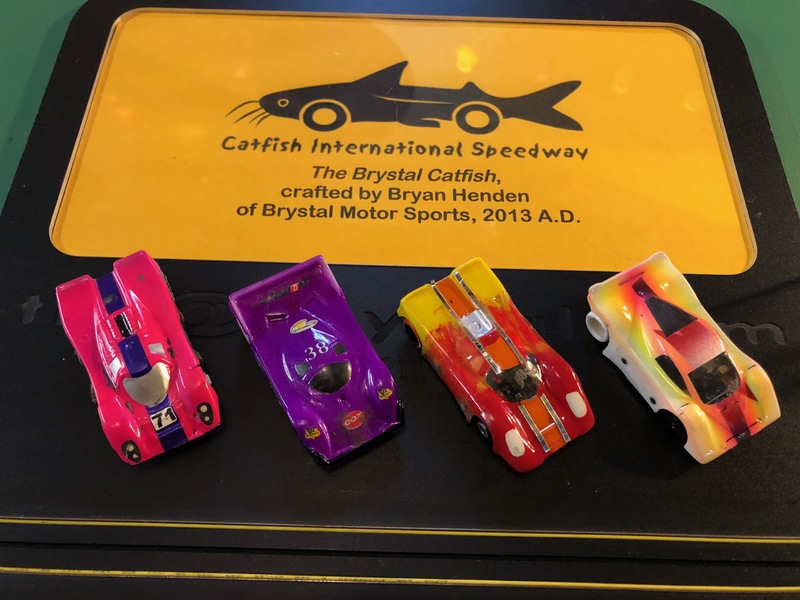 And those were the Sportsmen racing Super Stock HO cars at Catfish International Speedway on October 13, 2018. Paul Crosby and Terry Ayer declined to move up to Le Programme Pro, but podium finisher R. Withers decided he’d like some more track time, and so ascended. 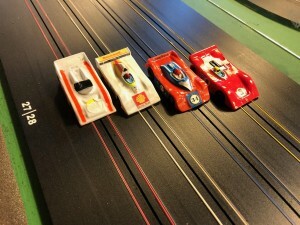 Some very fast cars out there, and a lot of fun Pro racing. We made new single-lap and total-lap Super Stock records. 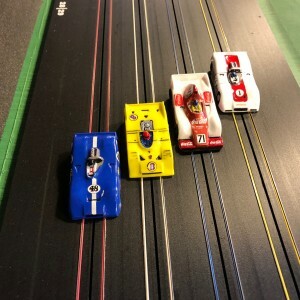 The track felt good. 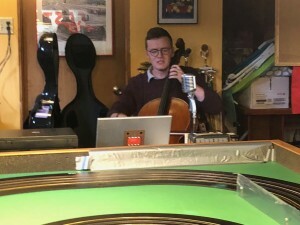 Our Track Owner demonstrated the benefits of (finally) getting some track time, winning all four lanes, and setting a new total-lap record of 292.43. 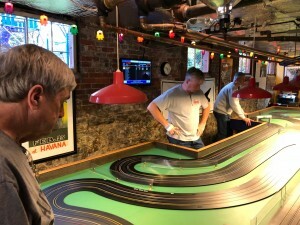 He enjoyed the same 16-lap margin over second-place Erik “The Chauffeur” Eckhardt, who is showing some great pace this season with his cars from the Durf Hyson stable. Erik edged Reimels Sr. by three laps, who shaded Ryan Archambault by four. Ryan set a new single-lap record of 3.717, from the previous mark of 3.882. 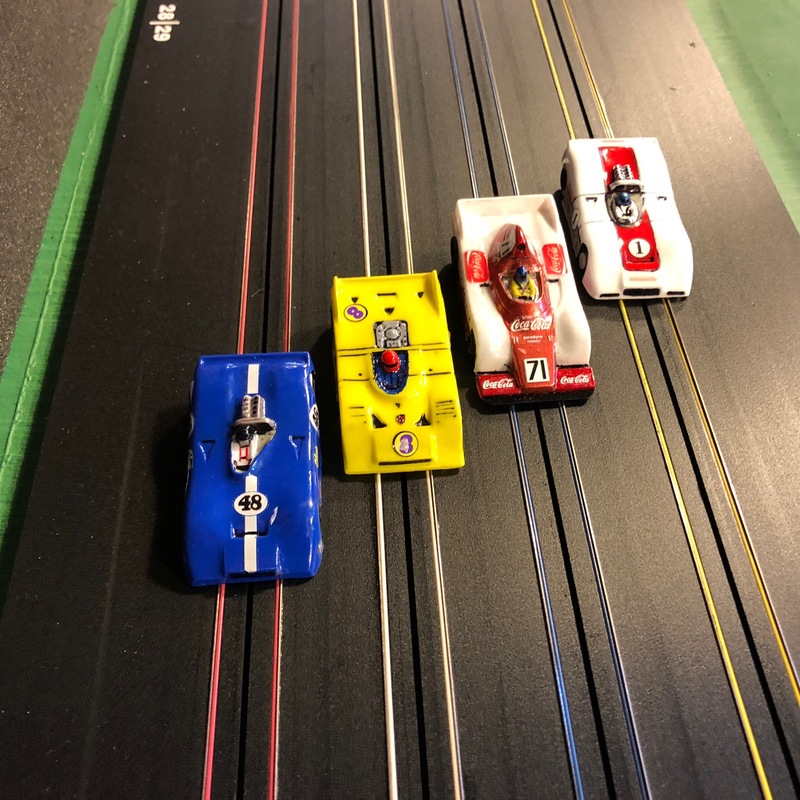 New Pro Tom Jahl was three back from Ryan, Tom Gray four back of Mr. Jahl, and Bob Withers, suffering mightily on White and Red, got his desired track time. A good, long day was completed in fine fashion with pies! 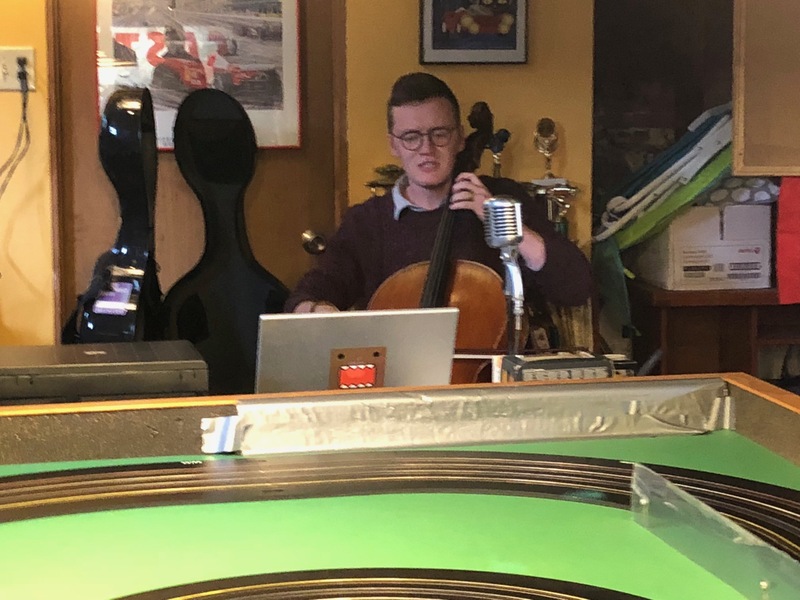 Our thanks go to Digital Dave Muse for helping us along with Lanemaster®, to superspouse Gretchen for providing our donuts, and cellist and vocalist magnifique Parker Ousley. 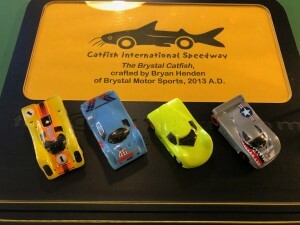 Large gratitude to everyone for coming, and, as always, XXXL thanks to Bryan Henden of Brystal Race Systems for our megafun Brystal Catfish racetrack. Please know that Team MARC will be representing the USA at the DHORC HO Le Mans 24 Hour tilt in Derby, England (pron. DAR-bee) on Nov. 10 and 11. 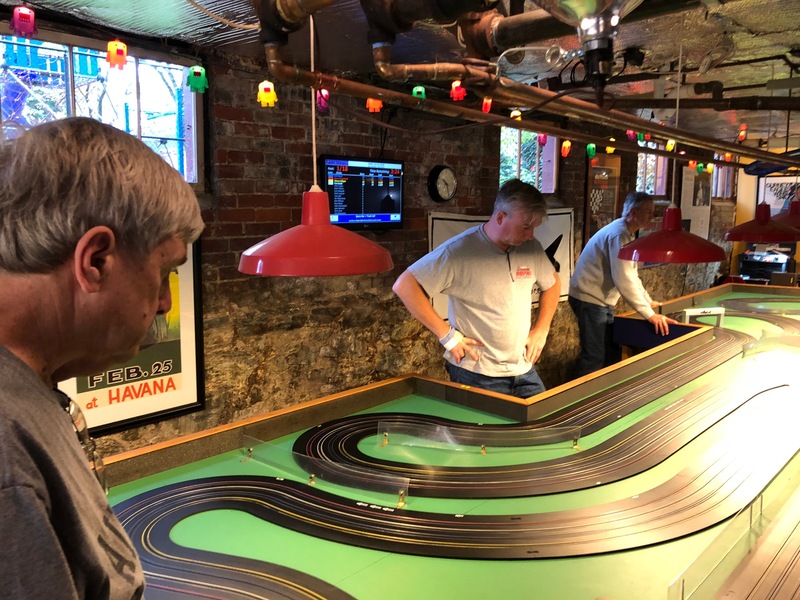 J. Reimels Sr., Erik Eckhardt, Dan DeCosmo, Dr. John Pileggi, HOPAC’s John Hubbard of Portland, Oregon, and Your Humble Narrator will journey across the pond to contest the HO24 for the fourth time, in this ultimate test of tiny machines and older men. We’d be glad to have your moral support. 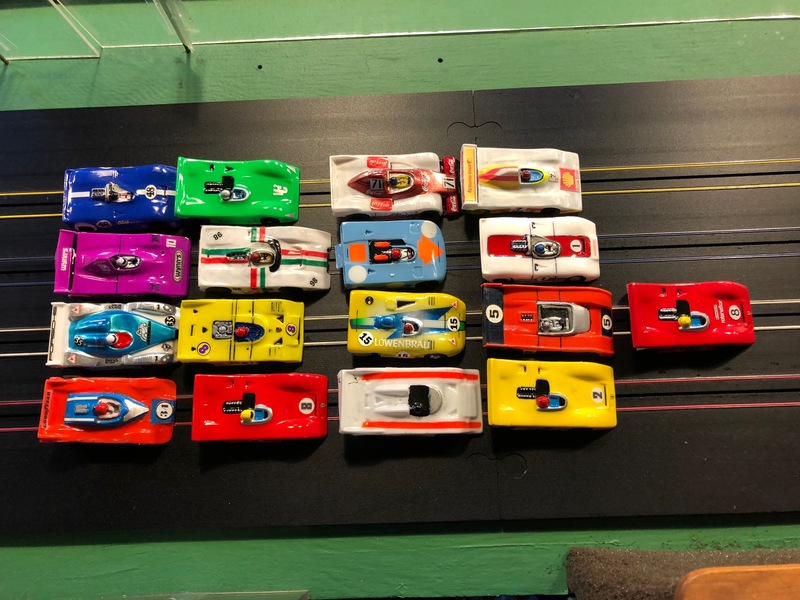 On that same Saturday, November 10, MARC will hold the third race of the 2018-2019 season championship at Nantasket Beach, Massachusetts, at the dual-track, HO slot car mecca created by the venerable John Stezelecki. It will be good.